There are two main reasons to upgrade your caravan’s suspension: to increase the payload, and to improve your rig’s ride and handling. Choose your suspension carefully and you should achieve both. It’s also possible to increase the offroad capability of your van but many on-road vans are not built to the same standards as a genuine offroader. Caravanners can spend years getting their van set-up just right and don’t really want to change to a newer van. Upgrading can give your van a new lease on life. The project is really two parts: fitting the suspension and axles, then organising paperwork, getting a new VIN or modification plate, and legally registering it. We’ve seen a move away from the traditional leaf suspension to the highly-evolved coil and air independent systems. But for those leaf advocates, upgrading a leaf system by swapping springs or increasing the number of leaves is relatively easy and very quick. The move from a leaf setup to independent suspension will not only increase load-carrying capacity (often from an ATM of 1600kgs to 2000kg), it will also offer better ride and handling. 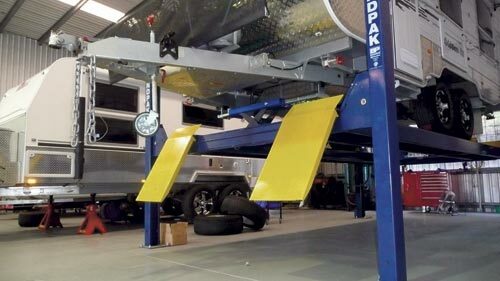 A new spring is likely to raise the ride height of the vehicle slightly, so take into account the drape length of your annex, as raising the rig will create a gap between the ground and the bottom of the canvas. Raising the ATM also brings up a few issues due to the legal requirements. You need proof that your drawbar will be suitable at the new ATM. This will require an engineers’ calculation, but if you contact the vehicle’s original manufacturer, they may be able to confirm that this has already been done and give you the information to obtain a modification plate. Your state authority will also need to be informed and their requirements should be confirmed before you start the project. You will need to check whether the brakes or safety chains need to be changed, particularly if the new ATM takes you into a different category. And don’t forget to check the ratings of the wheels and tyres. If you are making your rig suitable for offroad, you will need an all-terrain coupling such as the Hitchmaster DO35. If you want a more major change, say from a traditional leaf and axle setup to a coil or air independent, then a bit more planning will need to be done. 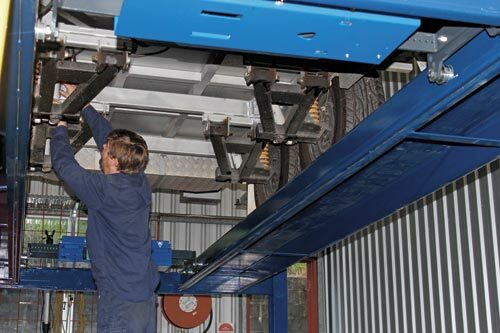 Upgrading to a non-load-sharing independent suspension from a load-sharing leaf will require the wheels and tyres to be checked for the additional 20 per cent load carrying capacity required by law. Other things to consider will be how the new system will affect the wheel arch design. If you are replacing the existing wheels and tyres with bigger ones, you will need to take this into account. 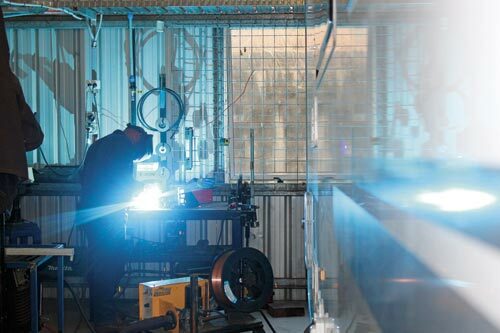 If you need to perform any welding on the chassis, check the routings of electrical wiring and hoses to make sure these will not be damaged. You might have to move the water tanks so check that the drawbar load will not be adversely affected by this change. Upgrading to an independent suspension can be done in one of two ways. 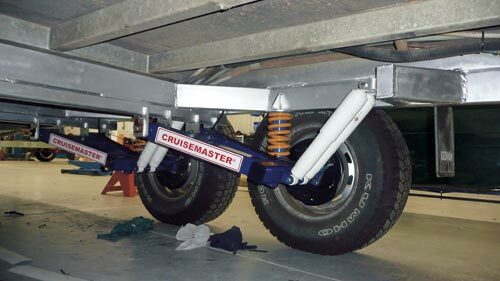 The first is a cut and shut method where the suspension is directly welded to the old chassis. This may require fitting new cross rails and shock absorber mounts. 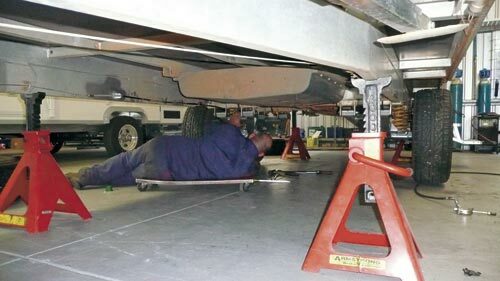 The second way is to mount the suspension to a frame and fit the frame to the chassis. With the increasing popularity of independent suspensions, we are performing more and more retrofits. Some of these are on older units and some are on brand new vans. Air independent suspensions can also be retrofitted fairly readily, which will give the advantages of independent suspension and allow the optimum ride height to be set no matter what the load. 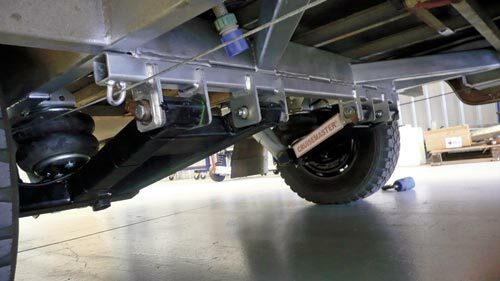 The idea that independent air suspension is for the upmarket buyer has been negated by its popularity and surprising affordability. If you are considering an upgrade to your rig, give us a call (1300 354 565) – we will be happy to advise. Chris Goddard is the managing director of Queensland-based suspension specialist Vehicle Components. Originally published in Caravan World #510, January 2013.